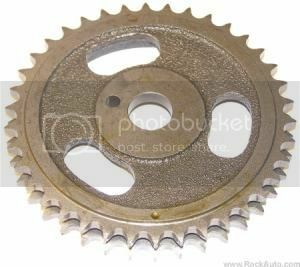 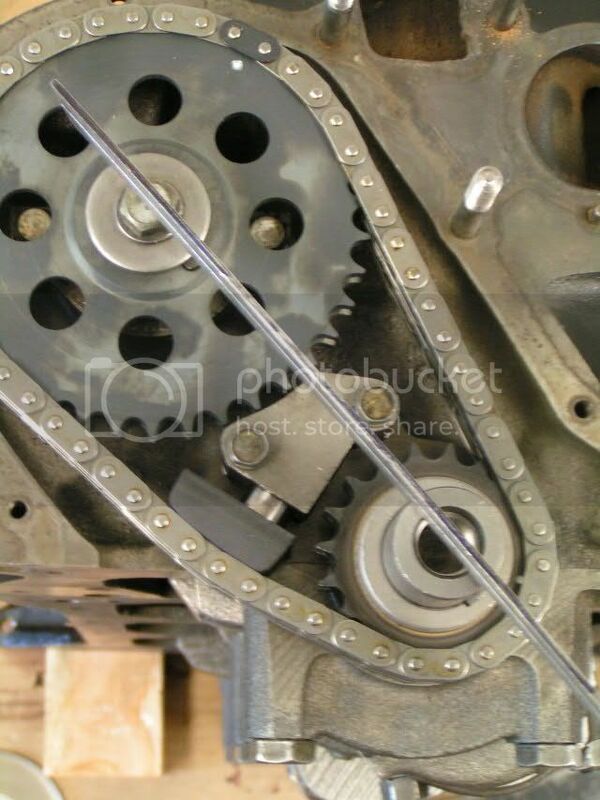 The Timing Chain drives the Camshaft. 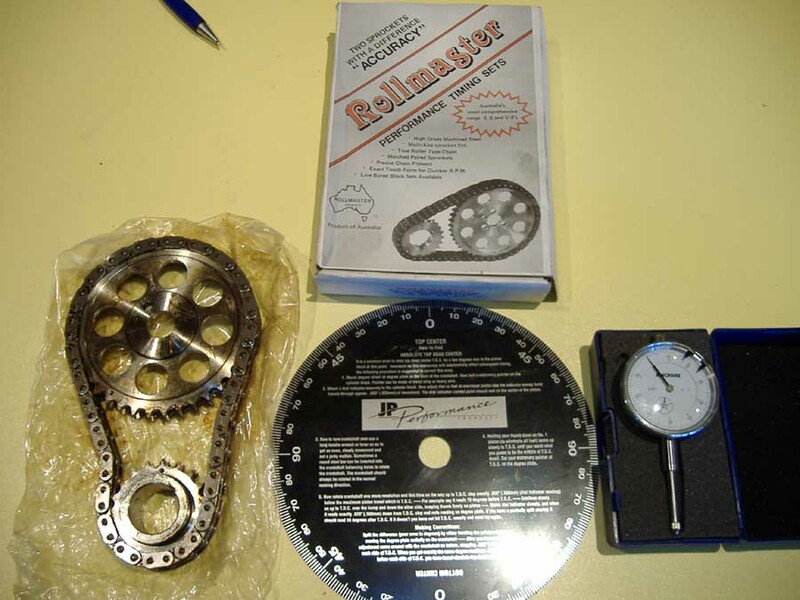 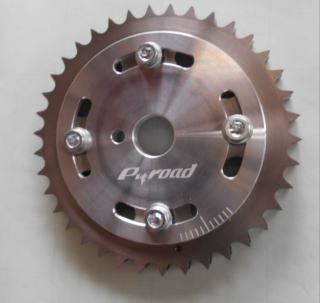 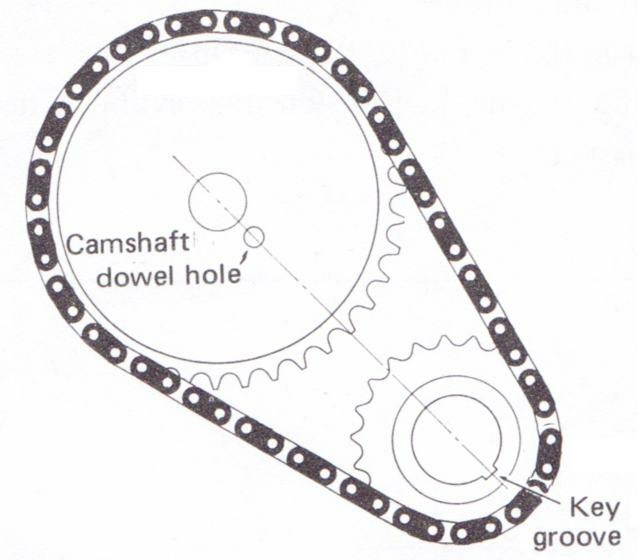 The cam pulley is twice as big as the crank pulley, so the cam runs at exactly 1/2 the speed of the crankshaft. 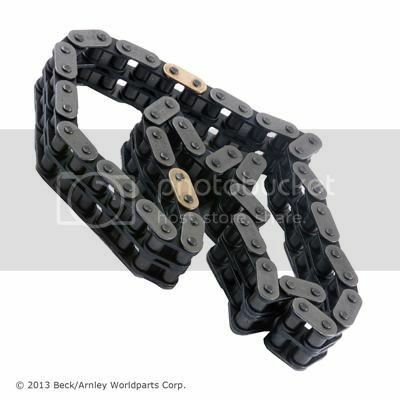 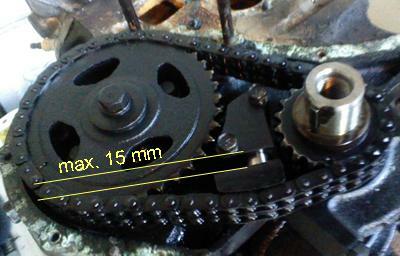 We have seen a couple of single link timing chains on A12, which is the original A10 single row chain. 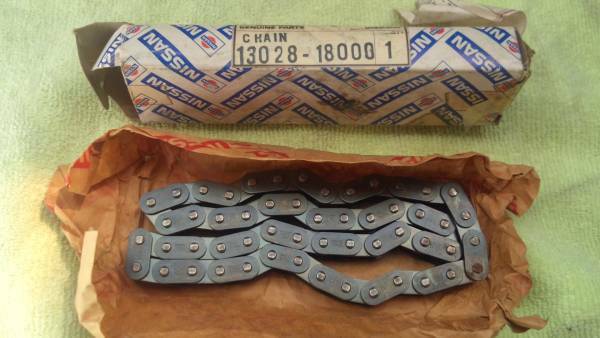 Insist on the factory specified double-chain, like Nissan did for later A10s. 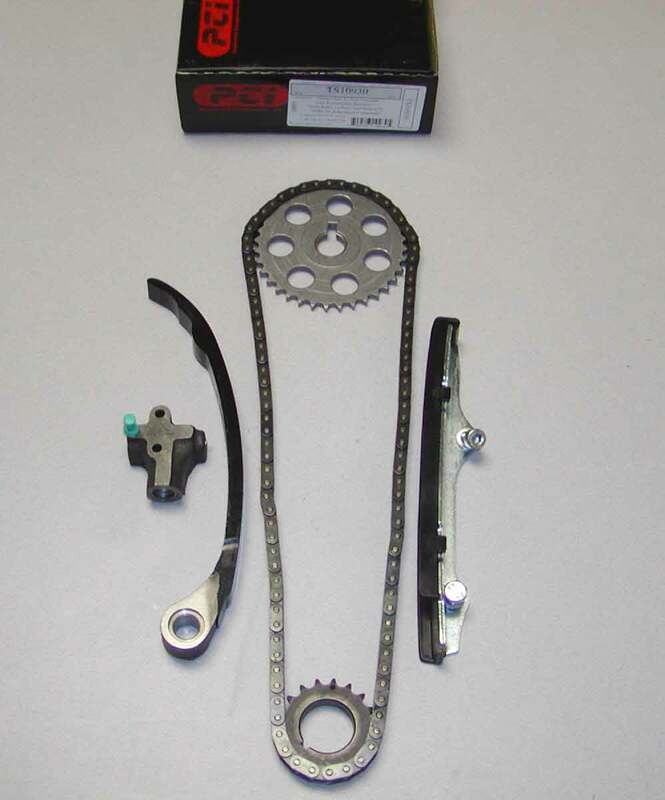 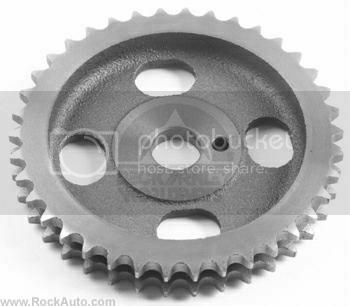 A-series engine has a short timing chain -- and with an automatic adjuster -- it rarely stretches or goes bad. 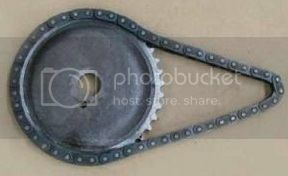 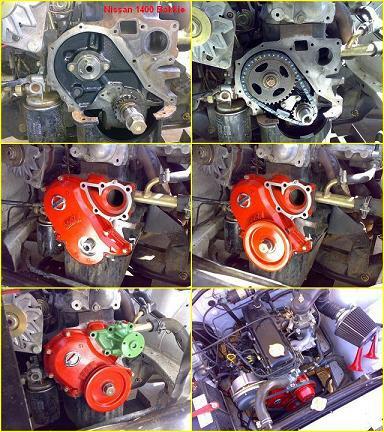 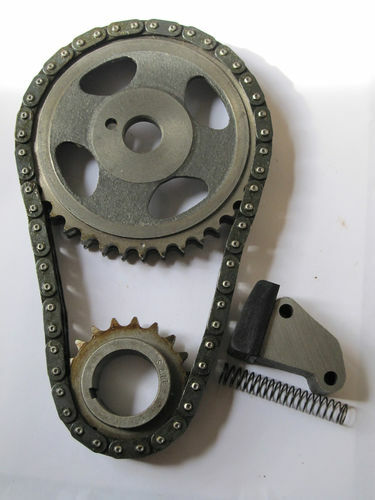 If tensioner spindle projection is more than 15mm, replace chain. 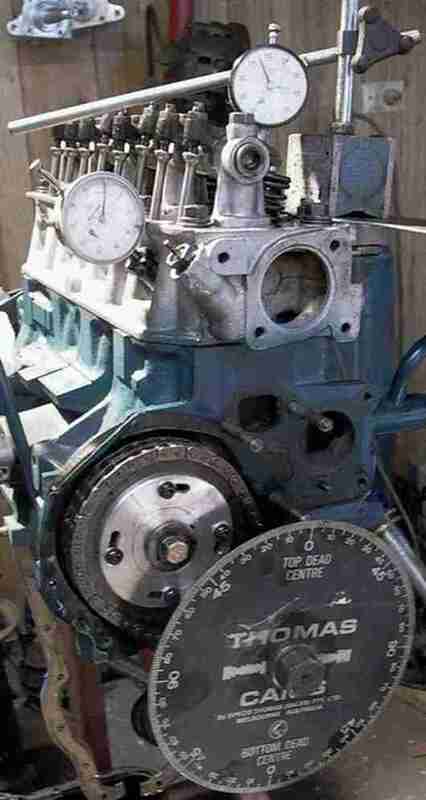 Rotate the engine clockwise a bit, then check the distance. 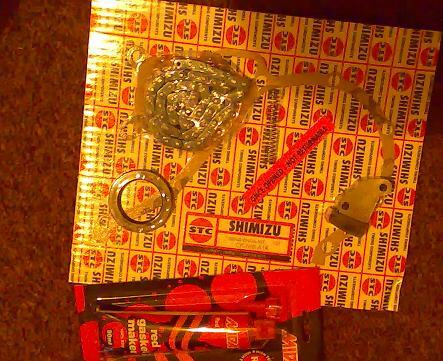 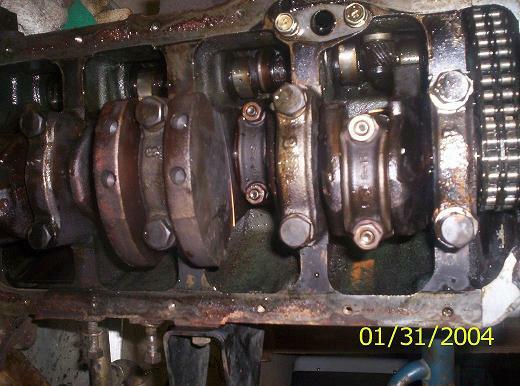 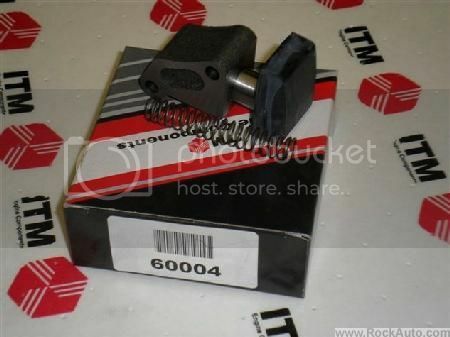 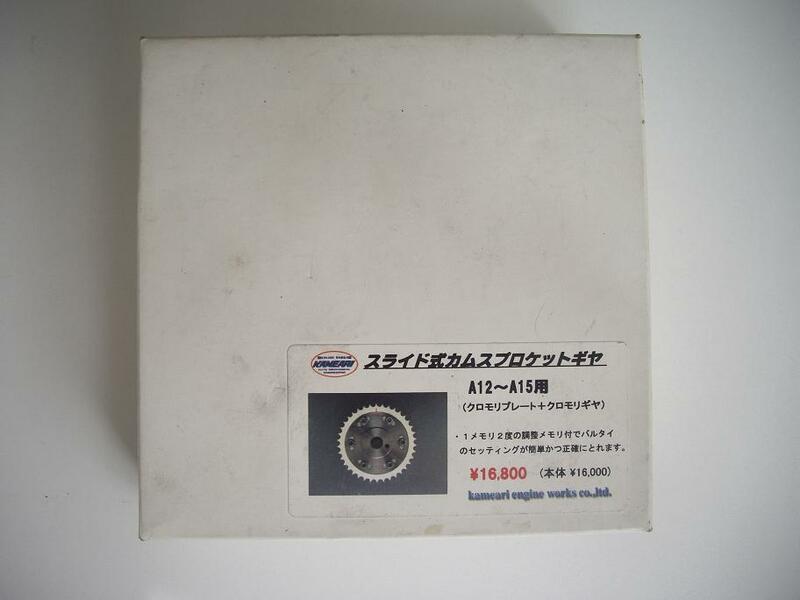 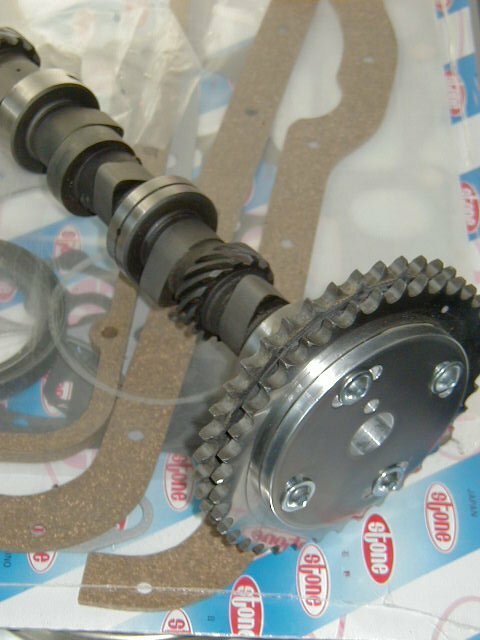 If it is not lined up, see Camshaft_replacement#Timing. 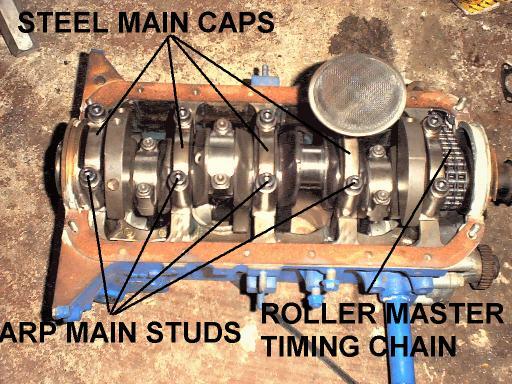 Don't forget the oil slinger. 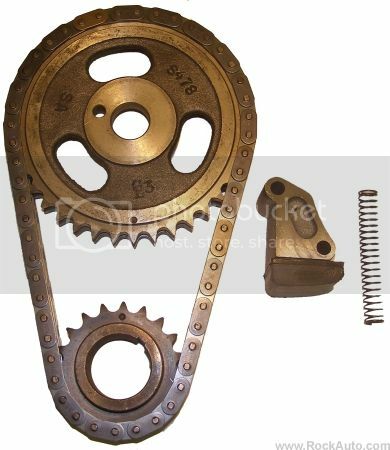 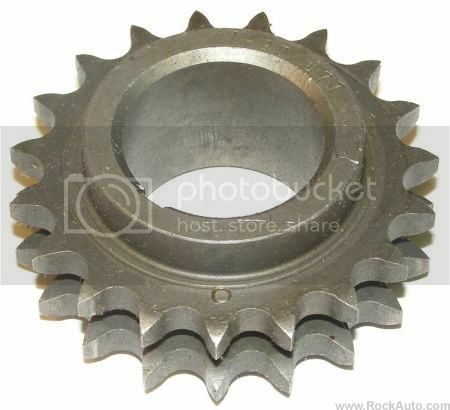 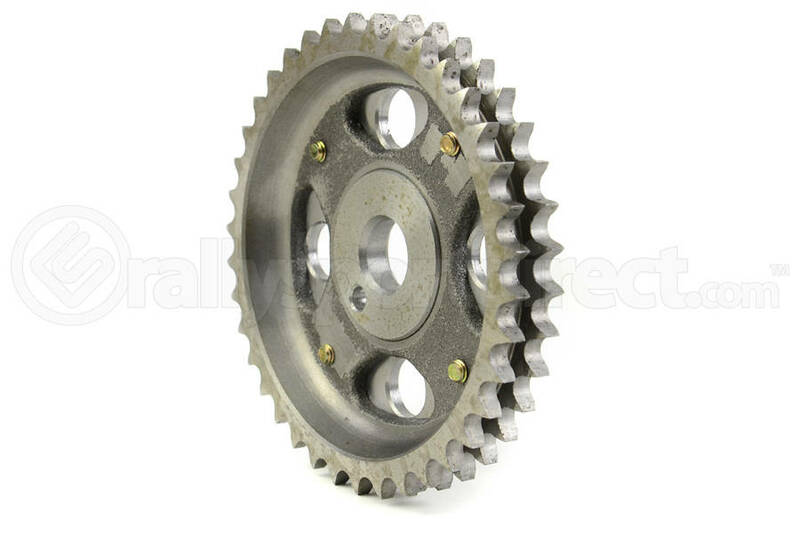 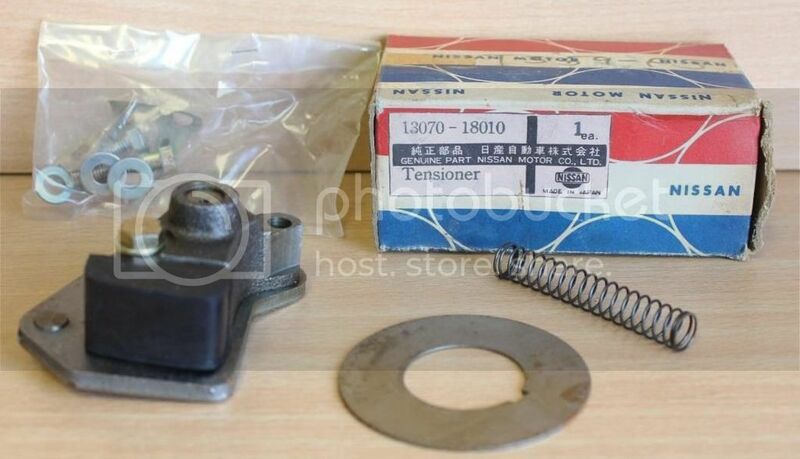 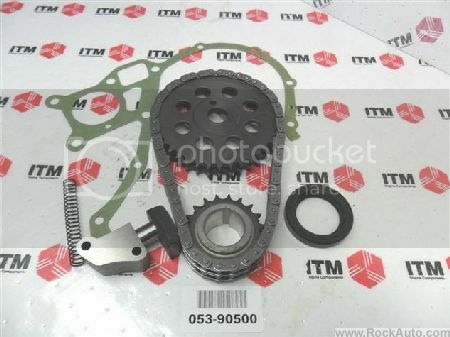 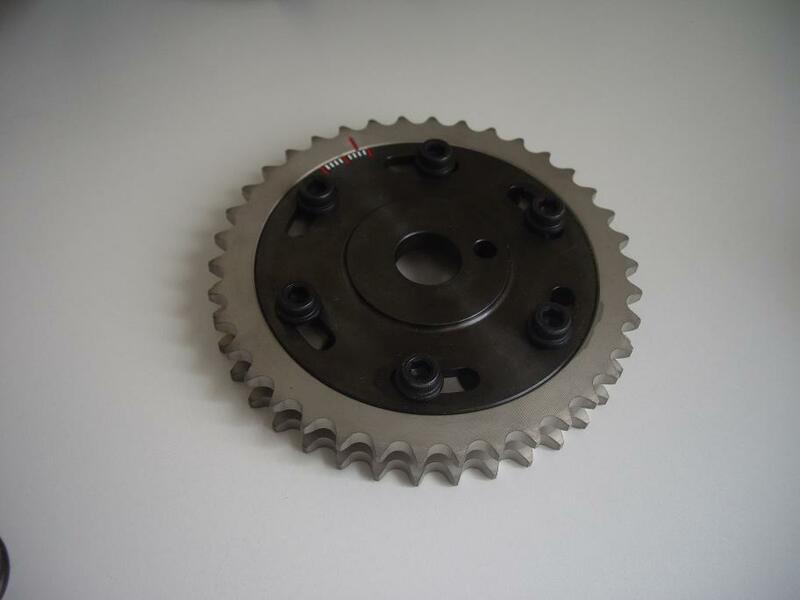 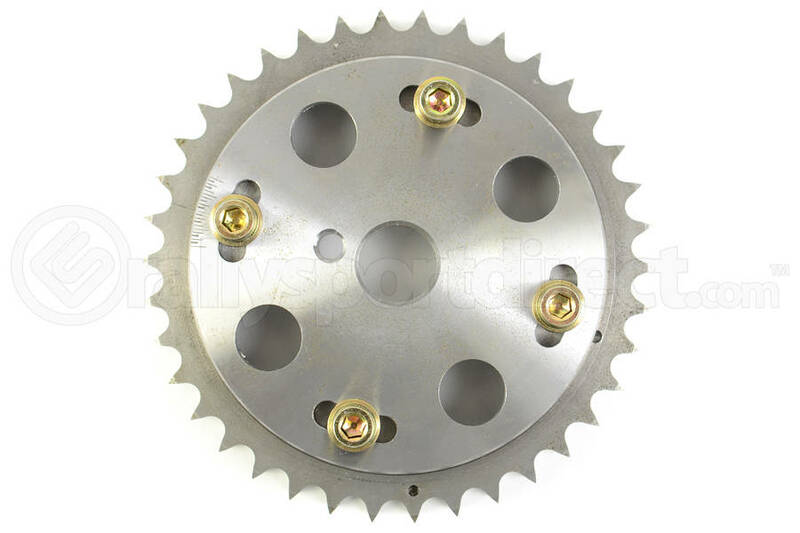 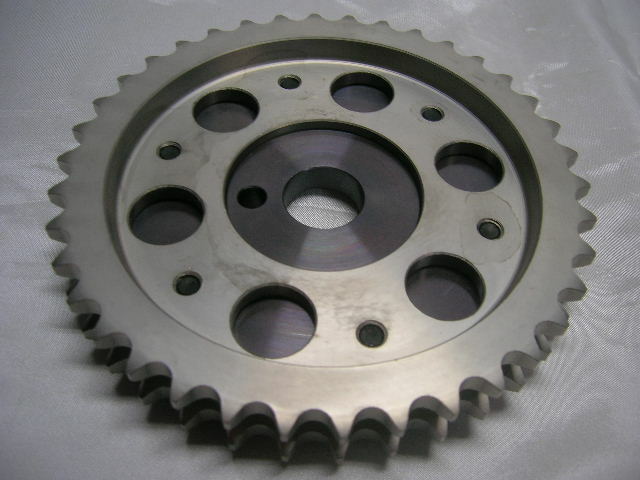 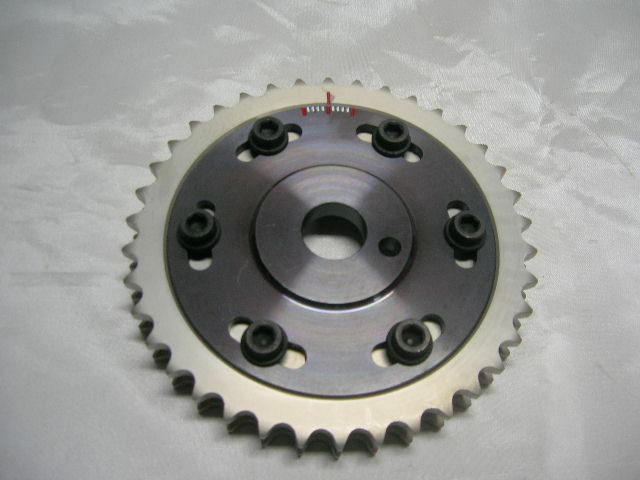 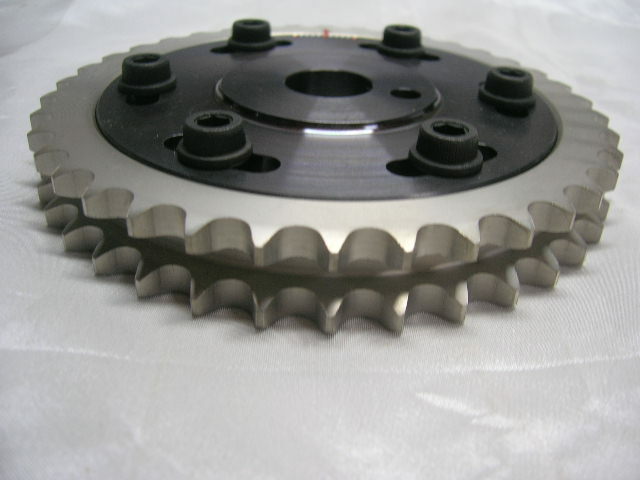 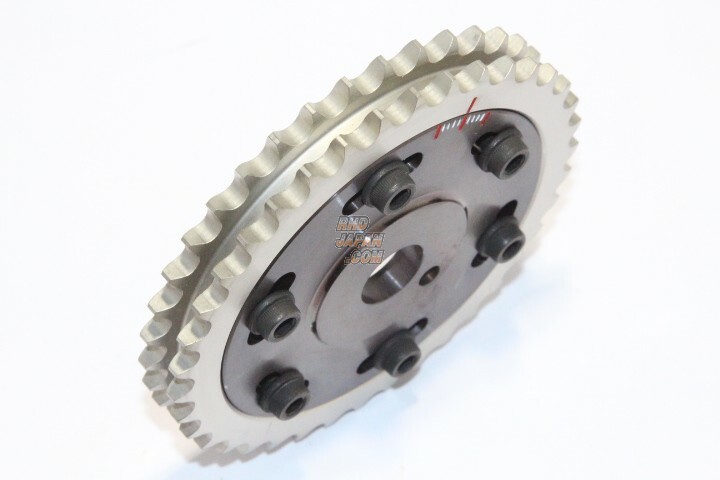 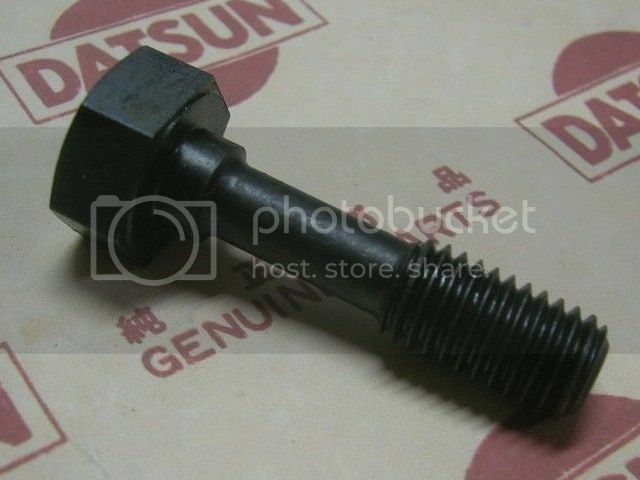 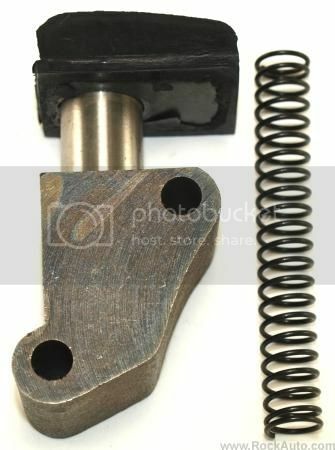 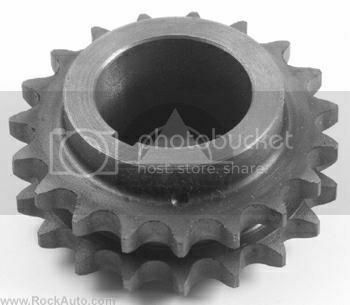 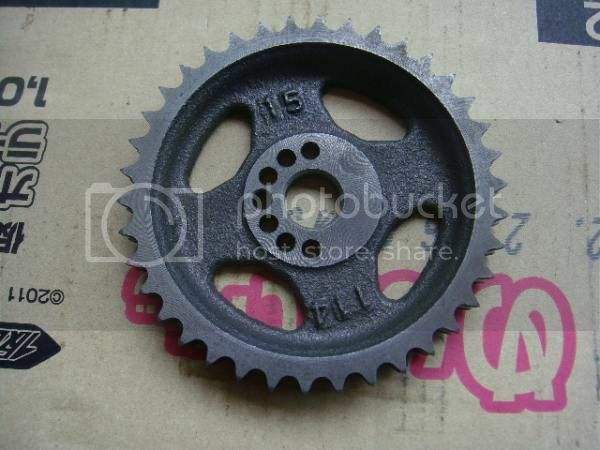 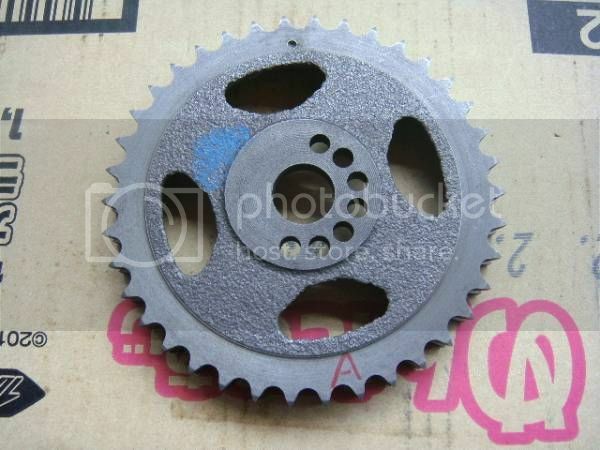 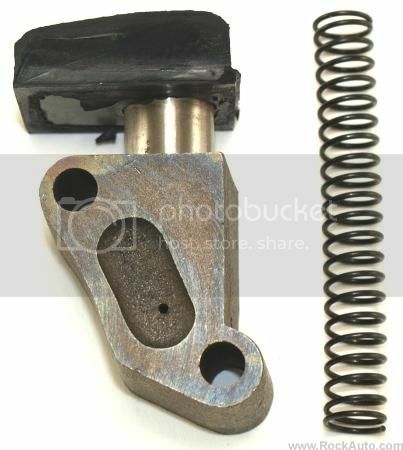 Same key is used for the engine crankshaft pulley. 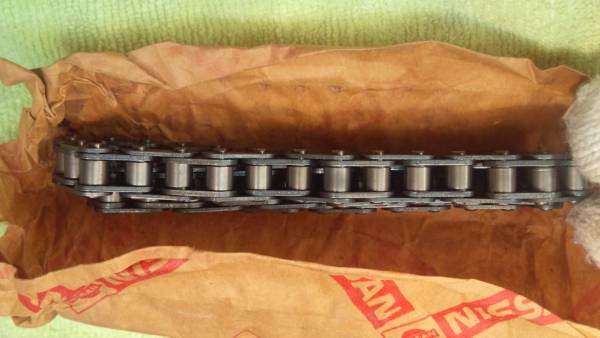 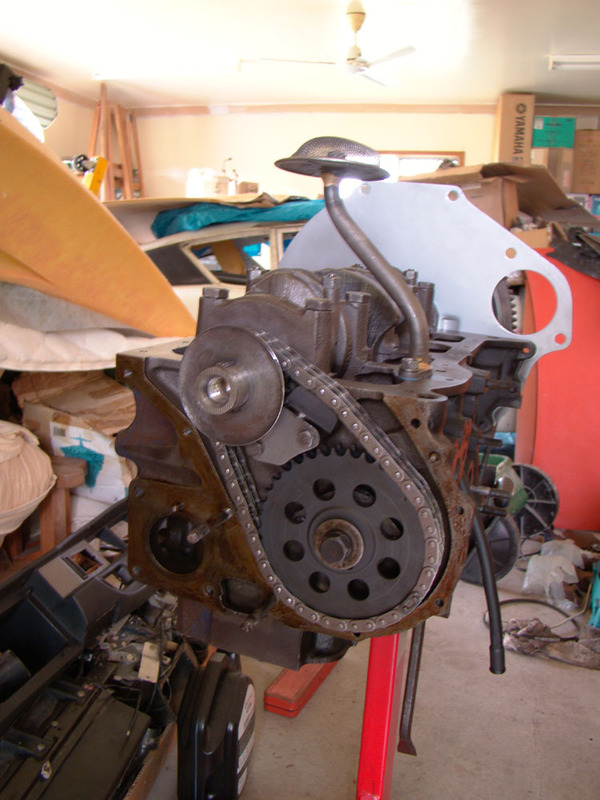 Early A12 engines (to April 1970) also used a tensioner on the Tension side of the chain. 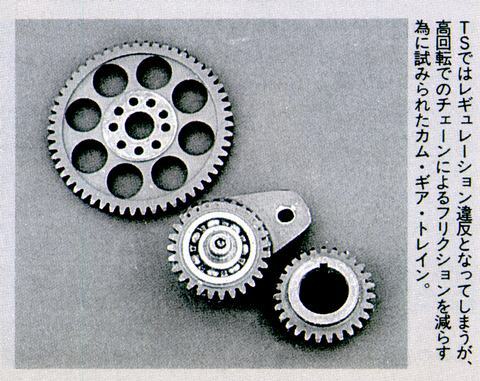 Apparently this was deemed unnecessary so was omitted starting May 1970. 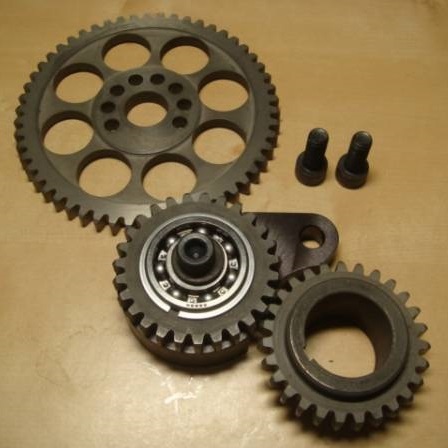 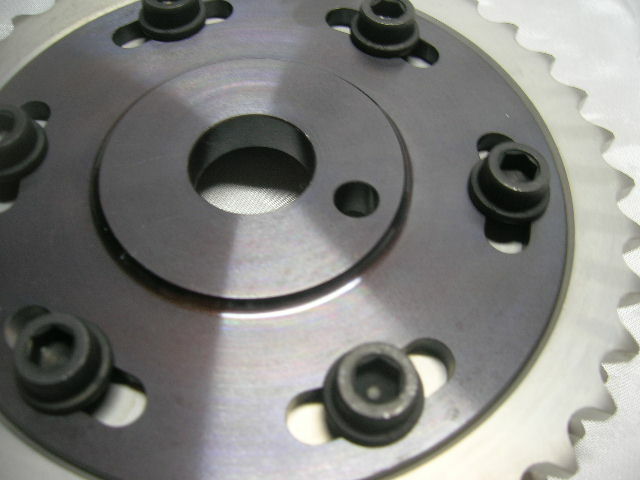 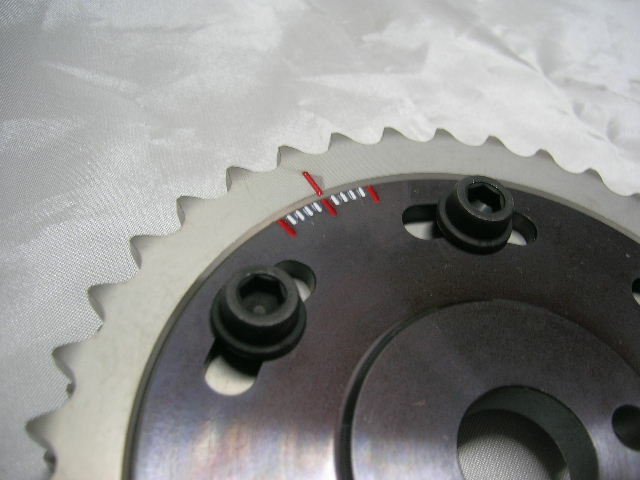 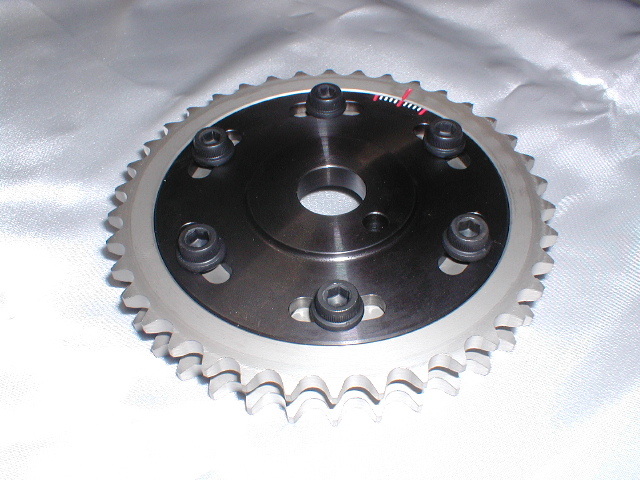 Fitting an adjustable Camshaft gear lets you fine tune the timing. 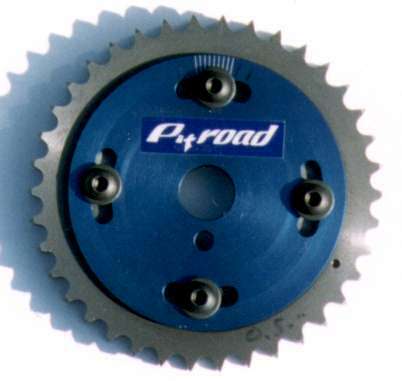 The cam vendor's recommendations are usually best, but retarding the cam a degree or two will generall shift the torque curve higher up in the RPM range. 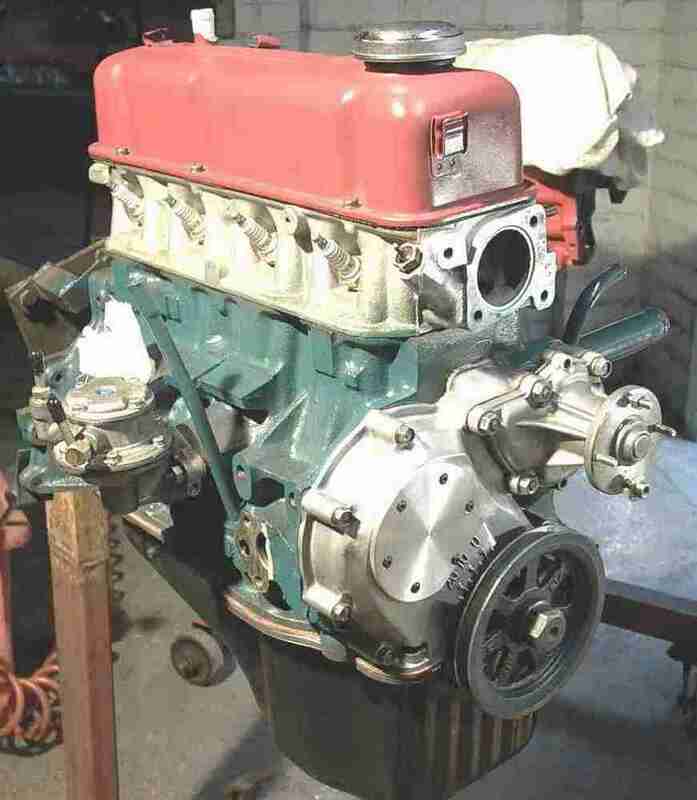 Advancing the cam will (usually) lower the power curve a few RPM.